I have been following this story relatively closely. It seems that virtually everyone including the Chicago police chief knows that the attack was a hoax. I am puzzled as to why he would plead not guilty. He is charged with an assortment of crimes, many of which are felonies. It seems like it’s been proven that he paid the Nigerian brothers $3500 to stage the attack. The MAGA hat, the noose, the bleach are all very powerful images to so many people. It is so dangerous and irresponsible to fan the flames of hatred in this divisive climate. One of the best aspects of American freedom is that all people get their day in court. 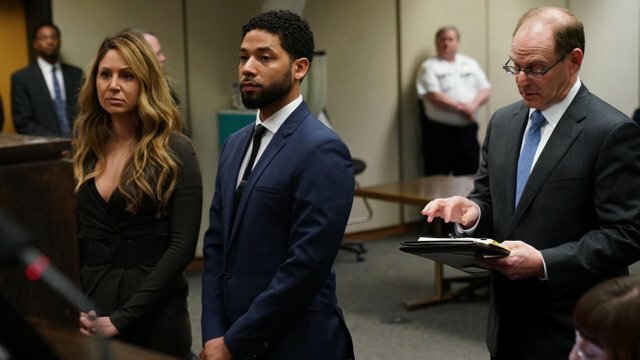 Smollett will get that and the court will decide. The court of public opinion has already shown its infuriation at this staged crime. We will have to wait and see whether or not the legal court agrees. Image is from google images.